A little wee while ago, Anxious Mom over at Strong Enough to Break nominated me for this Love/Hate challenge. 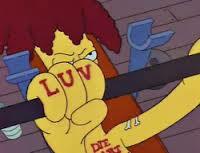 “Love” and “hate” are quite strong words so I’m toning it down a bit by using Sideshow Bob’s tattoos from The Simpsons (because they only have three fingers, you see). Sunny early mornings with the smell of flowers and grass and such. My job. Well, maybe “luv” is too strong a word, but I don’t mind going, it’s a good job and I enjoy it. That’s more than many people can say. Reading great books. Lots and lots of books! Being all growed up so I can make my own decisions. 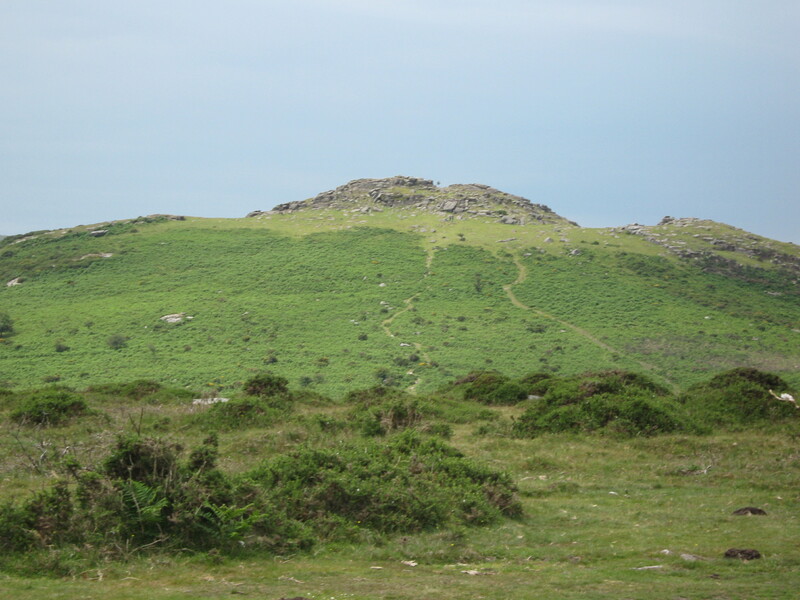 Writing again after so long – years and years and years. Computers answering phone calls when people should be answering phone calls. Traffic slowing down for no reason and then speeding up again and you never know why. Marketing cold calls. No, I don’t want any, thank you. Oh, you’re a computer. When people randomly waste stuff, like water or electricity or plastic bags. I’m not going to nominate people, and I know many people have done this one already. Feel free to join in if you like! I so very much agree with your choices. All of them. Except your job because I don’t know what you do, exactly. 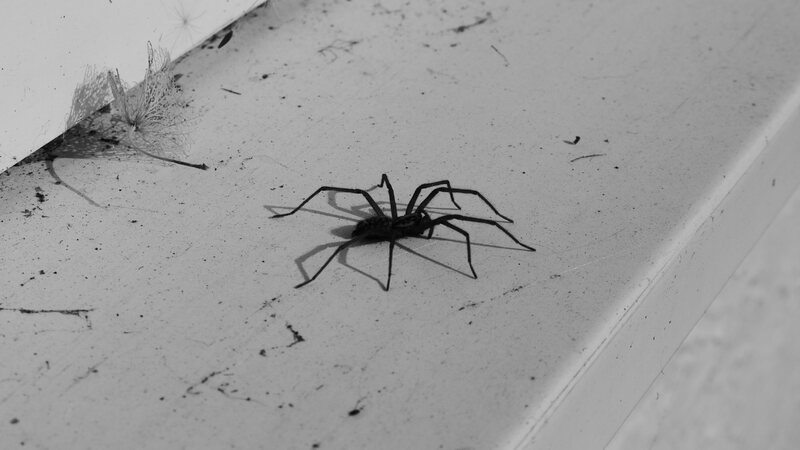 I hate spiders…and all bugs actually. Yuck. Coincidentally I just caught one on the stairs 30 seconds ago. It was one of those small compact high speed ones. Like my car, only with more legs. Um. He went down the toilet so he might still be alive! Growing huge and mutated down in the sewers with the monster alligators. I luv’d your “luv” list… 🙂 and as for #2 (no not that #2…) you are so very lucky! 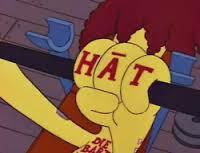 As for the hat list… I agree about the spiders. “shudder”… and the crowded places, great big crowds are almost as scary as spiders… the only thing worse that I can think of is a big crowd of spiders… EEEK!!! oh Drali I am so sorry for planting the seeds of possible nightmares… it could be worse though…. it could be a crowd of giant supersized zombie spiders!!!! Great lists. I love naps and quiet walks. That’s a cool little car. What kind is it? 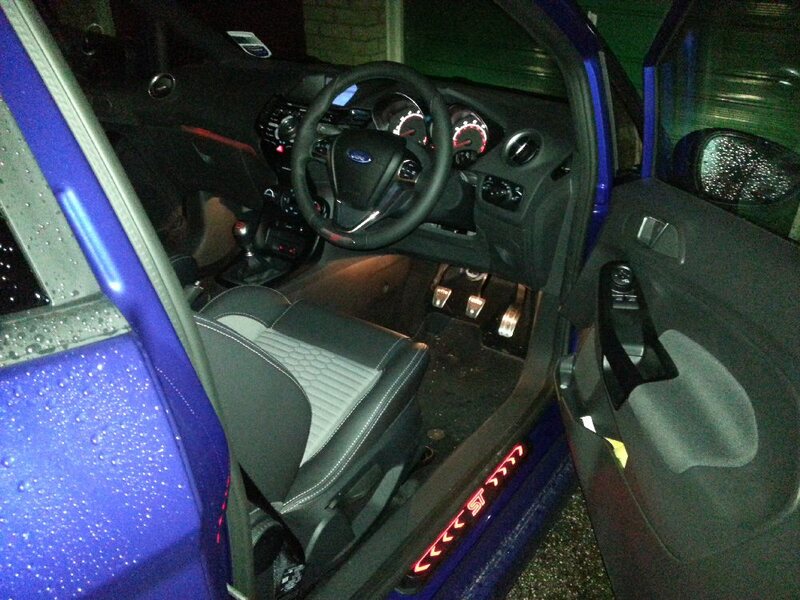 The car is a Ford Fiesta ST3 (in the US it would be a 3 door Fiesta ST with all the optional add-ons). I totally agree about cold calls and computers answering phone calls. Both are maddening. But, unlike you, I like spiders – as long as they are’t as big as tarantulas … or poisonous! Just wait until the spiders post their list! Crumbs. I better get some industrial strength bug spray in case they come at me en masse. If they can get their trousers on, that is. I have the perfect spider for you. (also I would luv your feedback as to cute or scary) I am aiming for cute but want your honest feedback. He is kind of cute but still makes me shudder a little bit. I think it’s all the legs 🙂 I love his little hat!